And many other online stores! 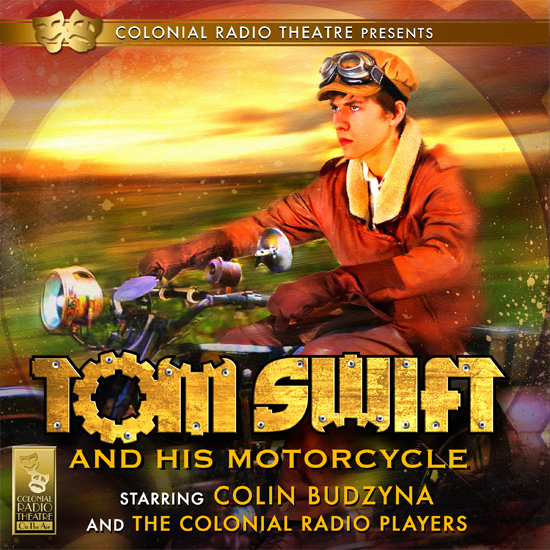 Young Tom Swift purchases a motorcycle and, being the inventor that he is, modifies it to his specifications in time to transport his father's new invention (a revolutionary turbine motor design) to Albany. However, a group of investors plan to steal the design for themselves, and send a gang of thieves after Tom as he travels the back-roads to Albany. Starring Colin Budzyna and the Colonial Radio Players. Executive Producer Mark Vander Berg. Produced by M.J. Cogburn. Cover Art by Jeff Hayes. TOM SWIFT AND HIS AIRSHIP. 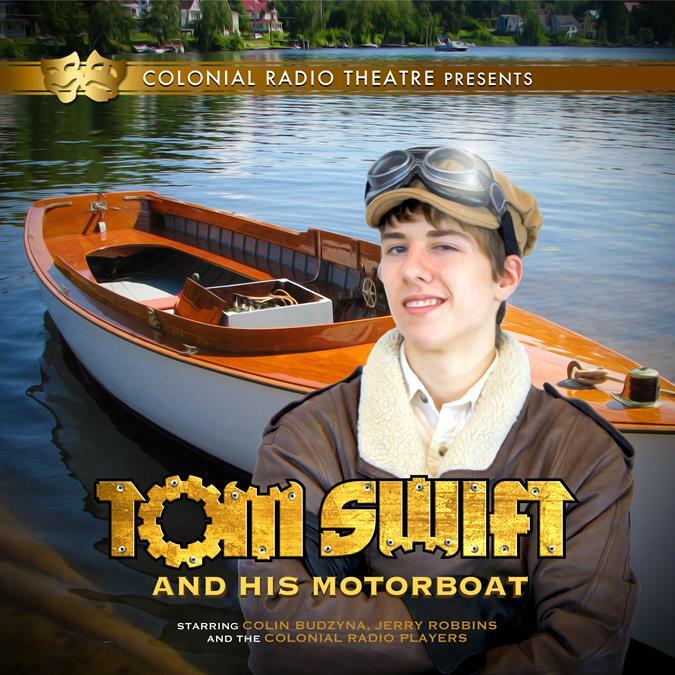 In TOM SWIFT AND HIS MOTORBOAT, Tom's father, Barton Swift, a world-famous scientist, has been robbed of one of his greatest inventions, and it's up to Tom to bring the criminals to justice, but he becomes a target of the rogues' anger when he unknowingly buys a boat in which the criminals have an interest in. This full-cast production is an exciting adventure for the whole family.